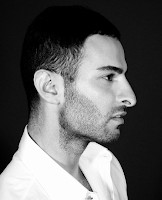 Nima Taherzadeh is one of New Yorks most promising young fashion designers. He graduated in May 2006 from Parsons School of Design where he was presented the prestigious Golden Thimble Award for his thesis collection. In 2005, Nima was the recipient of the prestigious CFDA Scholarship Program and most recently was named one of five up and coming designers to watch by WWD. Read the full interview and view his KiptonART Top 10.